You are currently browsing the tag archive for the ‘connectivity’ tag. All fine by me, but the situation I had had to do with the fact that the Outlook client was refusing to connect to my CRM instance while using IE it worked just fine. The Sync to Outlook was enable in the security role, and all looked just fine. Finally, one of my colleagues stumbled upon an interesting piece of information. 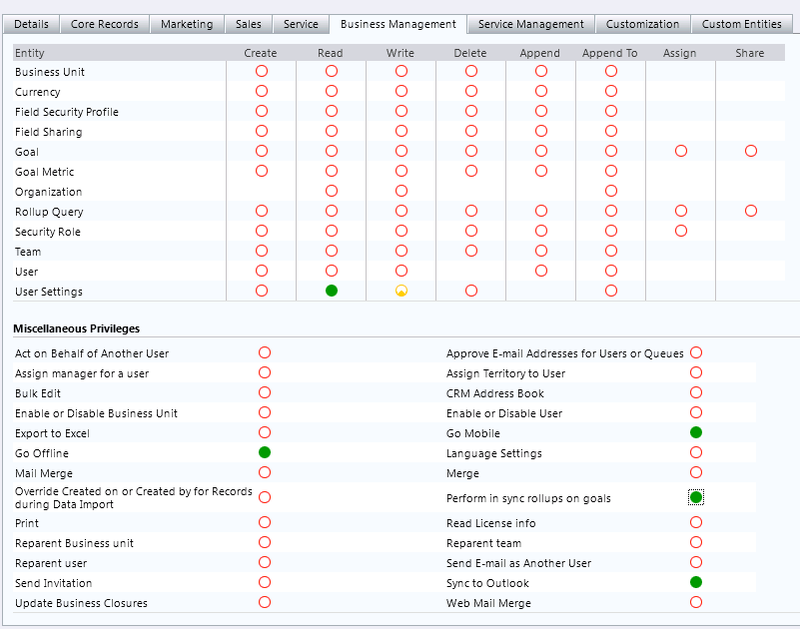 In the security role the users that could not connect had assigned, on the Business Management tab, under User Settings, we only had Read across the Organization enabled. Changing the Write setting to User allowed now all Outlook clients for the users of this group to connect.